In the rare case that your shipment contains a defective item or we accidentally sent you the wrong item, we will ship you a replacement at no charge and credit the cost of your return shipping charges once your return is received. If you don't wish to receive a replacement item, we will gladly refund your return shipping cost in the form of a store credit if you would like to return the item. Subject to the following: If UPS ground or FedEx ground is used, full amount will be reimbursed. If Overnight, Priority, 2 day, or 3 day services is used, only the amount UPS ground would have charged for the same return will be refunded to you in the form of store credit not the actual amount you spent. Please include all original packaging and attach a brief note explaining the defect, or indicate on your receipt the item shipped in error. On US orders $100 or more! 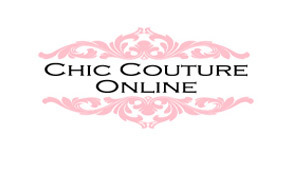 Offer valid for U.S. orders placed at www.chiccoutureonline.com. Shipping does not count towards the qualifying amount. No price adjustments on previous purchases. Cannot be combined with any other offers. Express orders are processed within 1 business day. *Please Note: The time it takes to receive items includes Processing + Shipping Transit time. For example, choosing a Next Day shipping does not guarantee you will receive it the day after you place your order. 1. USPS First class mail (14-20 business days) *This option will only appear if your order weighs under four pounds. Customs is an authority or agency in a country responsible for collecting and safeguarding customs duties and for controlling the flow of goods including animals, transports, personal effects and hazardous items in and out of a country. As far as customs charges, we do not have any control over them, nor know what the charges will be if any. The customs fees are based per your government regulations. If your package is being held by customs, that means you need to pay the custom fees in order to retrieve your package. If you don't, the package will be returned to us.